Overuse injuries can appear as sudden, agonising flare-ups of pain, commonly affecting the tendon that seem to come out of nowhere, or they can manifest as nagging ongoing pain that is somewhat manageable but restricts training or performance. Either way, overuse injuries are not pleasant to deal with. There are things you can do to avoid overuse injuries, but if you do start to notice signs of overuse we encourage you to identify it immediately to avoid further damage to the tendon or other structure. Read on to find out how. 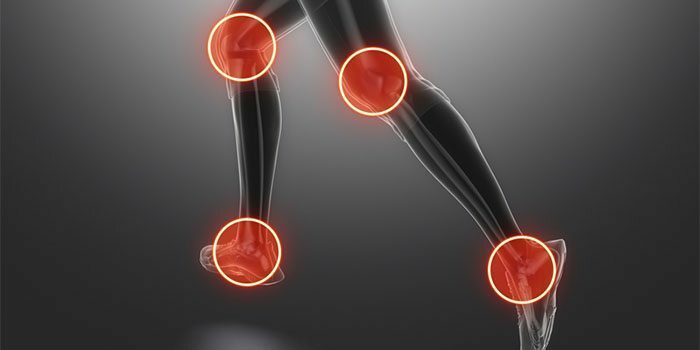 Achilles tendinitis, tennis elbow, Ilio-tibial band syndrome (ITBS), anterior knee pain, shin splints/stress fractures, plantar fasciitis and jumper’s knee are all instances of overuse injuries. Overuse injuries usually occur when the loading of body tissues is above what it can tolerate, and may be caused by prolonged, excessive or suddenly increased movement that puts a heavy loading on the body including muscles and tendon. The most common way they come about is when training levels suddenly increase or fluctuate. These types of injuries are commonly associated with the repetitive strain experienced by runners (ITB Syndrome), tennis players (tennis elbow), athletes whose training frequently includes jumping (jumper’s knee) and many people who use running as a part of their training. Without enough rest the body cannot repair appropriately, leading to inflammation or degeneration of the tendons, joints and bones resulting in pain. How Can I Identify Overuse Injuries? Common overuse injuries appear in the Achilles tendon, the iliotibial band (the tendon connecting the outer thigh and hip muscles to the knee), the patellar tendon (on the knee) and the extensor tendon on the elbow. Overuse injuries manifest as pain around joints, tendons and bones. In the early stages, this pain may be mild but as training continues, those structures are repeatedly stressed and cannot repair. Over time, the damage progressively worsens causing pain and dysfunction, and restricts your ability to train or perform. The most common overuse injuries include tendonitis (Achilles, tennis elbow and Iliotibial band), plantar fasciitis, anterior knee pain, bone stress fractures and shin splints. How Can I Avoid Overuse Injuries While Training? Our in-house tendinopathy expert Dr James Debenham explains that moderating your training is the best way to avoid overuse injuries. Collaborate with your physiotherapist, your coach/instructor and use your common sense to develop a steady, gradual training program with progressive impact. Strength training can also help the body control the impact experienced during training. If you’re suffering from an overuse injury, our physiotherapists use evidence based physiotherapy methods, clinical Pilates and rehabilitation and conditioning training to relieve your pain and get you back on track to your training goals. Call 08 9481 1003 or fill out our quick online form to find the best treatment for your injury.